The festival trains hundreds of musicians, dancers, and theater students from around the world. Student participants are high school, college and post-college students. Concerts are held Friday and Saturday nights in Winona Lake and are free and open to the public. 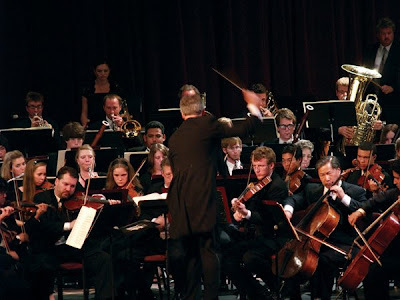 Faculty members are top professionals from orchestras and schools of music around the world, each of whom is a committed Christian and committed to integrating biblical Christianity with the world of classical music, theater, and dance. This week’s orchestral performances will be on Thursday evening (Ravel, Mozart, and Schubert’s Symphony No. 9) and Friday (patriotic pops concert under the tent at the Hillside Amphitheatre) and Saturday (Smetana, Berlioz, Shostakovich and Bach Concerto for Two Violins). Founder and director of the festival is Dr. Patrick Kavanaugh, chair of the School of Music at Grace College. For more information on the festival, log onto www.masterworksfestival.org or www.villageatwinona.com.